Champion jumps trainer Willie Mullins has a yard full of household names, but they were all once unknowns, and this season the one horse he feels will step out of that shadow is a new recruit. Having shown off his plethora of superstars like Champion Hurdle winner Faugheen, Champion Hurdle hope Laurina, Gold Cup potential Bellshill, and Grand National runner-up Pleasant Company, he put forward something of a dark horse to follow for this jumps season. "We have a nice young horse called Face The Facts, who hasn't run yet," Mullins told Gambling.com. "He's a horse off the Flat with a nice rating. We'll get him out later in the season and I think he could be a nice horse." Though he has yet to run over hurdles, bookmakers have already priced Face The Facts up for two Grade 1 novices' hurdles at the Cheltenham Festival. The four-year-old is 20/1 for the shorter Supreme with Bet 365, and 25/1 for the Ballymore Novices' Hurdle with William Hill. 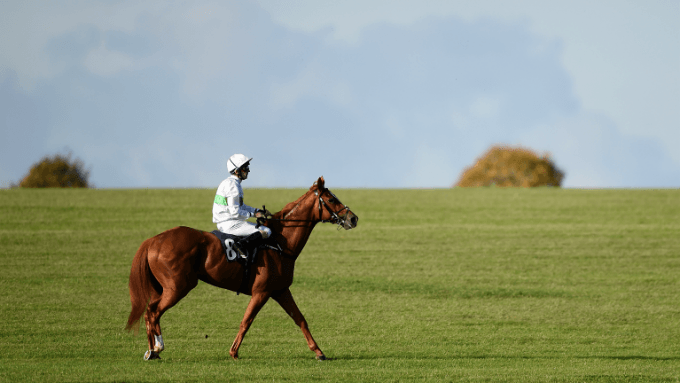 They are both likely targets for the two-time Flat winner, should he live up to his form on the level when switching to jumping. He won a Listed race over 2m well at Newmarket in September last year, and finished his time with John Gosden rated a lofty 104. Face The Facts was bought by Willie Mullins almost exactly a year ago, costing £105,000 at the Tattersalls Autumn Horses-In-Training Sale, and has been given a year to transition, new connections perhaps using that time to try to settle the very free-running sort. "He was recommended by his trainer," said agent Harold Kirk told IrishField.ie at the time, "and we've been lucky with our purchases from the yard before - we bought Thomas Hobson, who runs next week in the Melbourne Cup, from Clarehaven." Thomas Hobson won a Group 2 on the Flat this summer for owners Rich and Susannah Ricci. While last year he was sixth in that Melbourne Cup, and also won at Royal Ascot, having previously won a Grade 2 hurdle. Face The Facts's new owners Andrea and Graham Wylie have also already enjoyed success with an ex-Gosden purchase. Their Nicholls Canyon was also bought from Gosden's stables and has gone on to win eight Grade 1 hurdles, including the 2017 Stayers' Hurdle at the Cheltenham Festival. What more about Face The Facts? Well, his Flat form suggests he's going to be a stayer over hurdles in time, as does his pedigree. He's the youngest - and richest - of his siblings and the first to switch to hurdles, with sire Nathaniel a Group 1 winner over 1m4f. He's from the first crop of Nathaniel, which also includes dual Prix de l'Arc de Triomphe winner Enable, presently odds-on favourite for the Breeders' Cup Turf on Saturday. As that first crop is only four, he's had few runners over jumps, but from 16 runners six have won 10 races between them.